The much-loved SNOEflakes format is back with 4 banging tracks. Introducing some fresh faces to the family, this package is a dance floor oriented selecting offering a lot of good vibes and funky grooves. 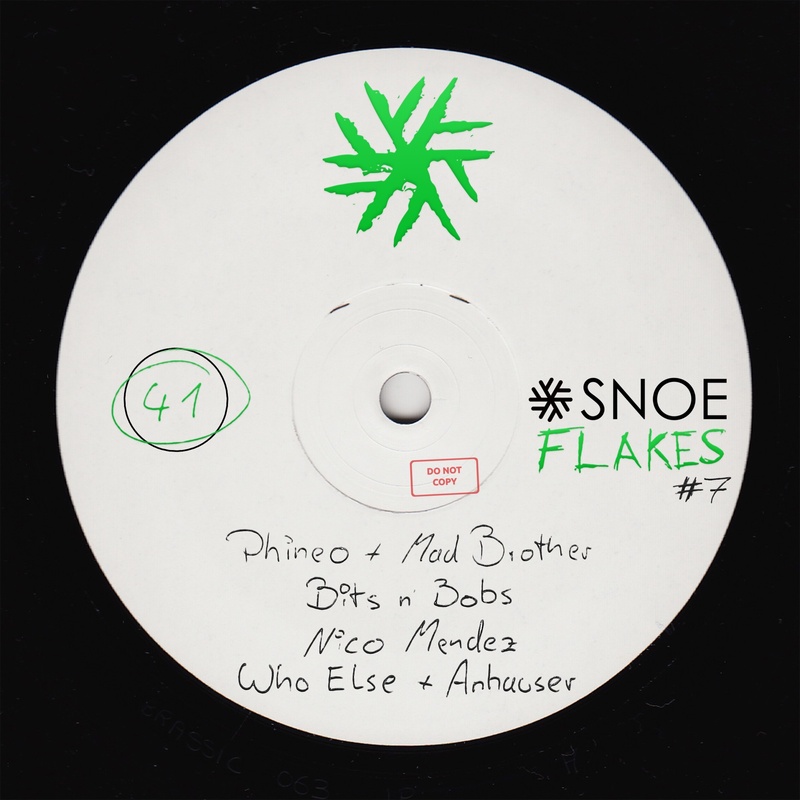 First up is German Phineo and Mad Brother delivering a top notch Tech House tune with “Where Do We Go”. Upbeat percussions and a wicked synth underline jacking vocal elements, all melting together in a sweet release. Hailing from Canada, the duo Bits n´ Bobs delivers “Fell To Dust”. Slightly dirtier in their style, the track is packed with energy and prime time drum work creating the perfect space for a tight synth and playful elements. Scottish producer Nico Mendez has joined the team with the wonderful track “Gear”. Working with slightly loungy elements and a smooth groove this is the perfect after hour and festival tune setting the scene for blissful dancing. Rounding up the EP are the Argentina based artists Who Else and Anhauser. “I Know You Wanna” is naughty, charming and incredibly catchy with its weird synths and acidy elements working around the bouncy bassline. SNOEflakes #7 is ready to create some fury on the dance floors across the world, bringing perfect tracks for every occasion.